Andy Hargreaves is the Thomas More Brennan Chair in the Lynch School of Education at Boston College. Previously he taught primary school and lectured in several English universities, including Oxford. Prior to coming to Boston College, he was co-founder and director of the International Centre for Educational Change at the Ontario Institute for Studies in Education in Toronto. 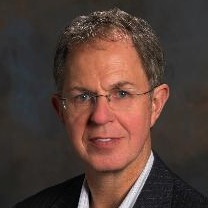 Andy is Editor-in-Chief of the Journal of Educational Change. He is leading editor of the first and second International Handbooks of Educational Change, and has co-authored several books including Professional Capital, The Global Fourth Way and Sustainable Leadership. He has addressed international organizations such as the World Bank, OECD (the Organization for Economic Co-operation and Development), UNESCO, the Soros Foundation, the European Union, the International Baccalaureate, the International Congress of Principals, the European School Heads Association, the Universities of Latin America, and the International Congress of School Effectiveness and Improvement. Andy has delivered invited addresses and provided staff development in 37 US states, 42 countries and all Australian states and Canadian provinces.